Best management in the medical institute I had ever seen. College is good and facilities are also good. Faculties are also good. But college has to develop little which will occur by the time. Hamdard Institute of Medical Sciences & Research (HIMSR) is at Hamdard Nagar in New Delhi is a motivated venture of Jamia Hamdard. It is intended to advance its reach in the life sciences and health sphere by providing eminence healthcare at an affordable cost. The institution has made hasty stride out in the meadow of privileged edification by providing novel edification and excellence that lays prominence on research in budding realm of herbal and natural sciences. The institution is proud of its augmentation and bliss providing service and edification for the maturity of services and medical care. 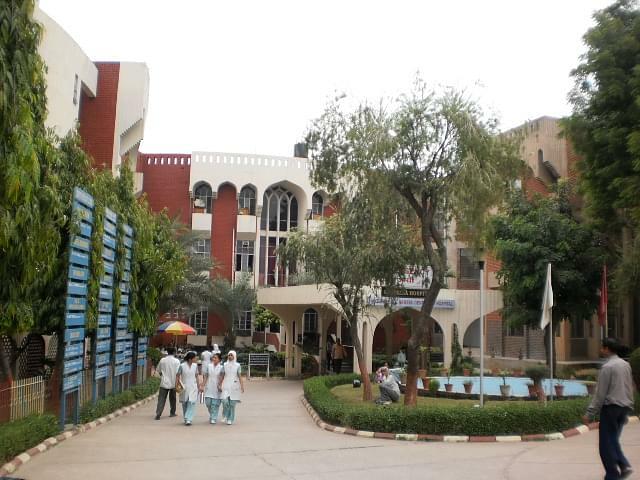 Why Join Hamdard Institute of Medical Sciences & Research, New Delhi? Hospitals Underneath: The Institute is propped up by two edification hospitals. Hence the educates are given a professional coverage. Infrastructure: Institute has state-of-art infrastructure. Institute provides well-facilitated labs, library, hostel and campus.